The managing director of the Federal Airports Authority of Nigeria (FAAN), Mr. Saleh Dunoma has said that the challenge of the Murtala Muhammed International Airport in Lagos is no longer the certification but how to maintain and sustain it so that it might not be withdrawn. Speaking in Lagos during the official handover of the certificate of the Murtala Muhammed Airport to the airport manager, Mrs. Victoria Shin-Aba, the managing director urged the staff to re-double effort to sustain the certification. “The certification can either be suspended or withdrawn by the Nigerian Civil Aviation Authority (NCAA) if we fail to sustain it. But we have told NCAA that we are going to sustain it. It will be a serious matter if we cannot sustain it. What this means is that we must re-double our efforts. The same efforts and vigour we use to get this certification must be used to also sustain it,” he said. Dunoma explained that after FAAN had received the certificate, it took it to Abuja and formally presented it to the minister of state for aviation, Senator Hadi Sirika. “We had to take it to where it belongs after officially presenting it to the minister of state for aviation, Senator Hadi Sirika. After that the FAAN management decided to bring the certificate to where it originally belongs. It does not belong to Abuja but to MMA. It gives me a great pleasure to present the certificate to MMA, Lagos,” said Dunoma. 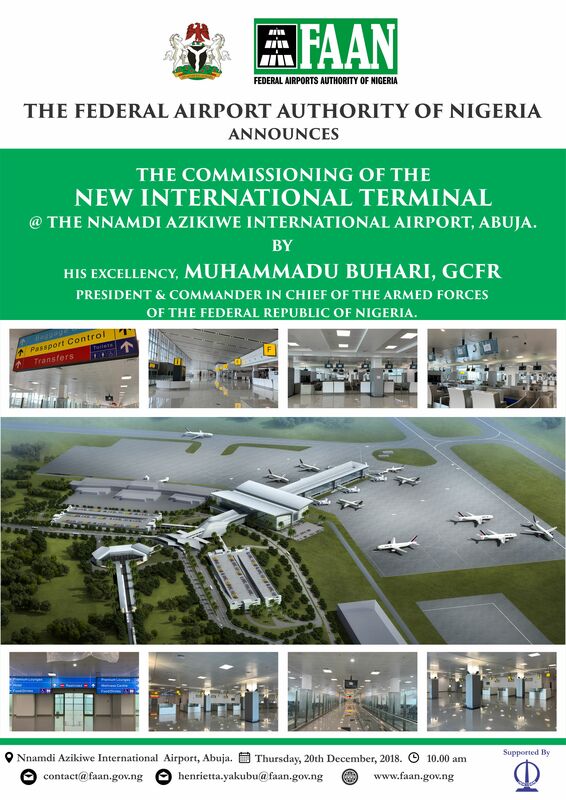 Thereafter, the managing director said Abuja, Port Harcourt and Kano airports would be certified in quick succession. In her response, Shin-Aba commended Dunoma and FAAN’s management for striving to make the airport among the comity of certified airports in the world. “We will ensure that the certification is maintained and sustained so that our efforts will not be in vain. As a result, a monthly joint inspection will be carried out to sustain the certification,” she added. Also speaking, the director of airports operation, Capt. Hamisu Yadudu commended Dunoma for his support and cooperation, stressing that there was no way it would have been achieved without his backing. He disclosed that FAAN had concluded plan to sustain the certification team which would be called Integration Certification Committee made up of the MMA, Lagos Certification Team and three NCAA resource persons. Besides, he said there will be also monthly inspection or visitation to ensure the sustenance of the certification.